Whether you need to pay a bill online or over the phone, or make a purchase electronically and you don’t have a conventional bank check/debit card we offer a competitive alternative. You can have your paycheck direct deposited or cash loaded directly onto the card. If you are tired of having to cash your check, waiting in line and dealing with the worry of carrying cash, come in and try one of our pre-paid debit cards. 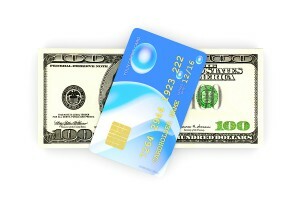 One of the best benefits of the card is that you will never have to worry about an overdraft fee or NSF fee. Unlike some of our competitors, there is no monthly service fee as long as you use your card. You can also have your tax returns direct deposited on your pre-paid debit card. Why pay the outrageous fees associated with an R.A.L. rapid refund tax return check and then have to pay a check cashing fee just to get your hard earned income tax refund sooner? Have your tax refund direct deposited. You can get the entire amount of your refund and get it fast when you e-file your taxes and then have your refund direct deposited onto our debit card. Bring us your current government issued photo I.D. as well as $20 to initially deposit. Your $20 that you initially deposit is available immediately for your use as well. We can issue you your new pre-paid card in a matter of minutes. Whether you would like to have funds loaded or unloaded, mobile text alerts added, direct deposit setup or changed or a history of your activity, you can have all of these services done for you here at our store. Again we strive to find new and as many ways to serve you. You can use the card immediately anywhere Visa is taken. What is 10 - two?